In a study recently published online on March 21, 2013 in the open-access journal PLOS ONE, Virginia Tech scientists used a pair of engineered proteins to cut DNA in a site-specific manner to disrupt a targeted gene in the mosquito genome. The technique could be useful for controlling mosquito-transmitted diseases. Virginia Tech researchers successfully used a gene disruption technique to change the eye color of a mosquito — a critical step toward new genetic strategies aimed at disrupting the transmission of diseases such as dengue fever. Dr. Zach Adelman and Dr. Kevin Myles, both associate professors of entomology in the College of Agriculture and Life Sciences and affiliated researchers with the Fralin Life Science Institute, study the transmission of vector-borne diseases and develop novel methods of control, based on genetics. In the groundbreaking study, the scientists used a pair of engineered proteins to cut DNA in a site-specific manner to disrupt a targeted gene in the mosquito genome. Science magazine heralded these transcription activator-like effector nuclease proteins, known as TALENS, as a major scientific breakthrough in 2012, nicknaming them “genomic cruise missiles” for their ability to allow researchers to target specific locations with great efficiency. While TALENS have been previously used to edit the genomes of animal and human cell cultures, applying them to the mosquito genome is a new approach, according to Dr. Adelman. "Unlike model organisms with large collections of mutant strains to draw upon, the lack of reverse genetic tools in the mosquito has made it is very difficult to assign functions to genes in a definitive manner," Dr. Adelman said. A team of scientists from The Johns Hopkins University Applied Physics Laboratory (APL) has developed a novel method to accurately predict dengue fever outbreaks several weeks before they occur. The new method, known as PRedicting Infectious Disease Scalable Model (PRISM), extracts relationships between clinical, meteorological, climatic, and socio-political data in Peru and in the Philippines. It can be used in any geographical region and extended to other environmentally influenced infections affecting public health and military forces worldwide. PRISM is aimed at helping decision-makers and planners assess the future risk of a disease occurring in a specific geographic area at a specific time. Developed by APL's Dr. Anna Buczak and a team of researchers for the Department of Defense (DoD), PRISM predicts the severity of a given disease at a specific time and place with quantifiable accuracy, using original analytical and statistical methods. "By predicting disease outbreaks when no disease is present, PRISM has the potential to save lives by allowing early public health intervention and decreasing the impact of an outbreak," says Dr. Sheri Lewis, APL's Global Disease Surveillance Program Manager. DoD is currently evaluating PRISM for use in mitigating the effects of infectious disease in various operational settings. PRISM's distinctive prediction method utilizes Fuzzy Association Rule Mining (FARM) to extract relationships between multiple variables in a data set. These relationships form rules, and when the best set of rules is automatically chosen, a classifier is formed. 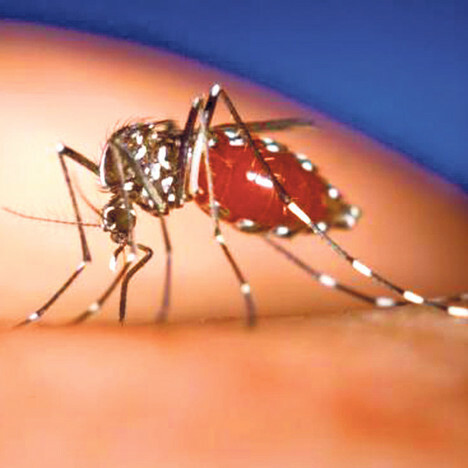 The classifier is then used to predict future incidence of the disease – in this case dengue fever, the second most common mosquito-borne disease, which puts more than one-third of the world's population at risk.